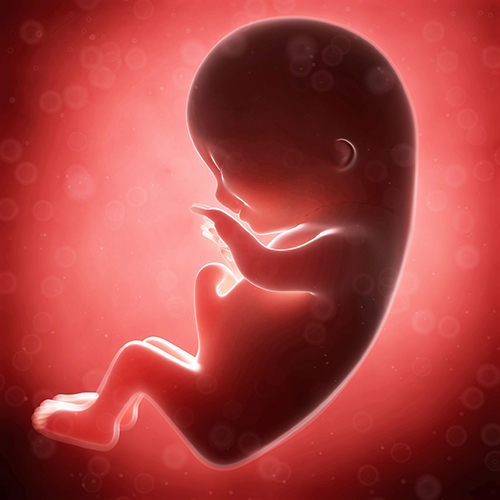 During this week your baby is about 7cm long and weighs approximately 18g. He/she makes different spontaneous movements with his/her body. On one hand, these are due to the many developed muscles. On the other hand, to the fact that the brain is still underdeveloped to control them. This is exactly the period when the nervous cells (the so called neuroblasts) experience their stormy development. Neuroblasts not only propagate but also move closer to the sensorium. A group of cells named islets of Langerhans is being formed in the baby’s pancreas. They are of crucial importance as they form insulin and glycogen. However, the liver of your midget is quite big in comparison to the other parts of the body. It is about 10% of the weight of his/her body. The bulbs of the hairs and of the hair commence their formation in the deepest layer of the skin. They will continue their development and in a few months you will feel the touch of the soft head while petting your child. Your uterus is already so big that it cannot get in the pelvic cavity. This is why it raises and comfortably accommodates itself in the abdominal cavity. It will not push your bladder any more. Gradually, you will find out that the inconveniences caused by the frequent toilet visits disappear. In general, you feel better, nausea diminishes and may totally disappear. Your appetite comes back, but do not allow it to prevail the reasonable nutrition. However, the large amounts of food you think you can absorb may affect your body. Eat moderately and do not forget to monitor your weight gaining. Combine Maternea’s personal hygiene products with the ones for personal care to complete your skin care routine. After showering, apply Elasticity oil. It contains high quality plant oils and vitamins, which will effectively nourish the skin. A gentle massage will enhance the blood circulation. 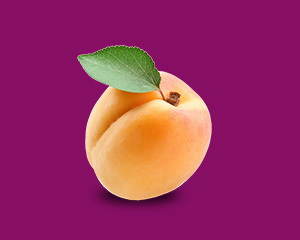 Also apply our Breast Firming Cream, which penetrates the dermis, provides elasticity, and protects from stretch marks. buy a scale – If you do not have a scale at home, we recommend you to buy a scale that measures correctly each gram you gain. Thus, you will be able to control your weight and to decide whether you and your little treasure grow within the admissible range. make an appointment at the dentist – Seek the specialist’s advice for the appropriate products for the mouth cavity and your teeth. Your teeth and gums become quite sensitive during pregnancy. This is why you should take care of them, so that you can easily give smiles to your sweetheart and to everybody around you. be prepared for hugs – The moment to tell the whole world that you are pregnant has already come. If you have refrained from doing so until now, today you can freely disclose that recently you have gained weight because you bring another little person inside you.